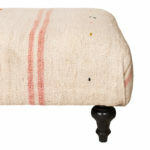 Upholstered pink and cream striped ottoman with multi-colored motifs. 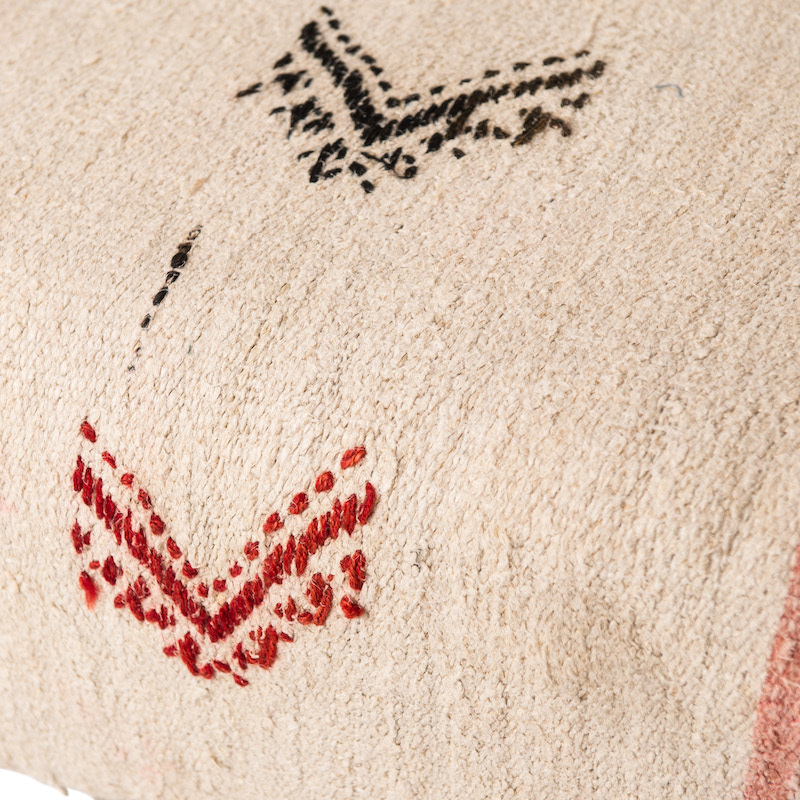 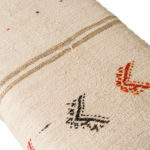 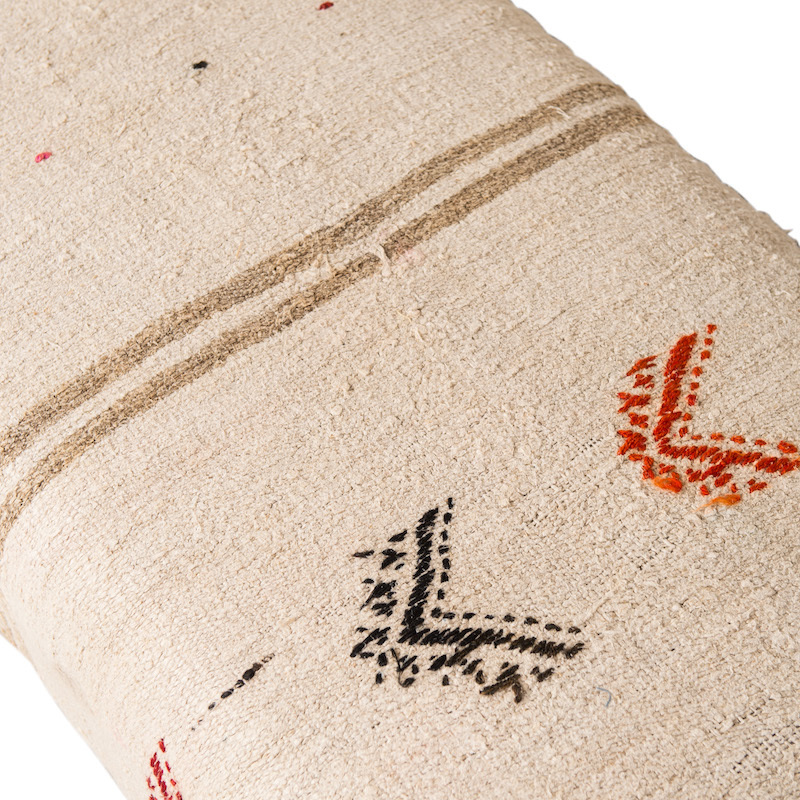 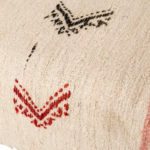 Made from a vintage Turkish hemp rug that was originally used to cover farm wagons. 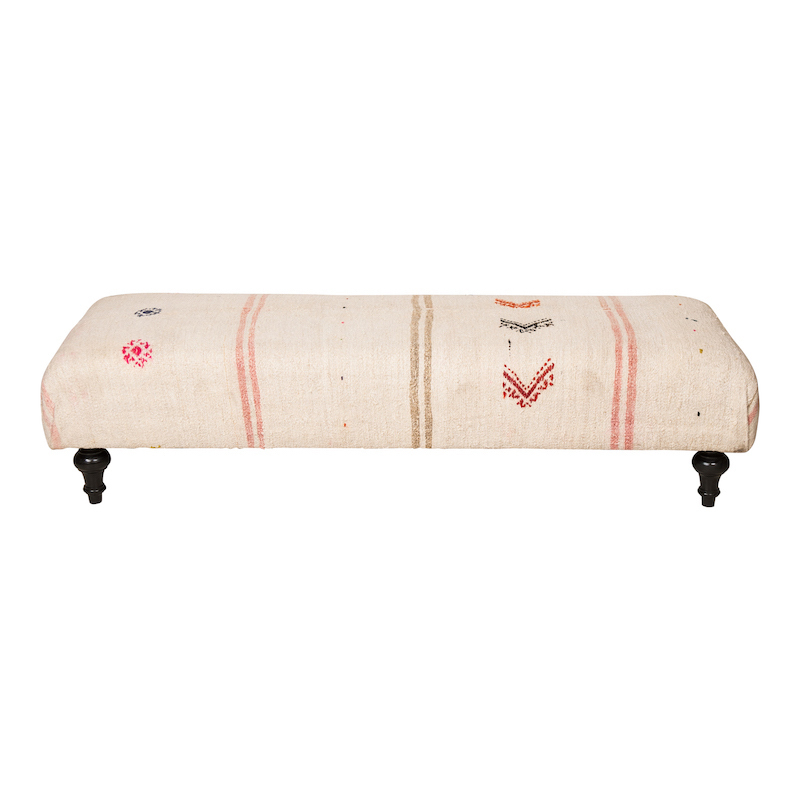 Can be used as a coffee table or lounge seating.